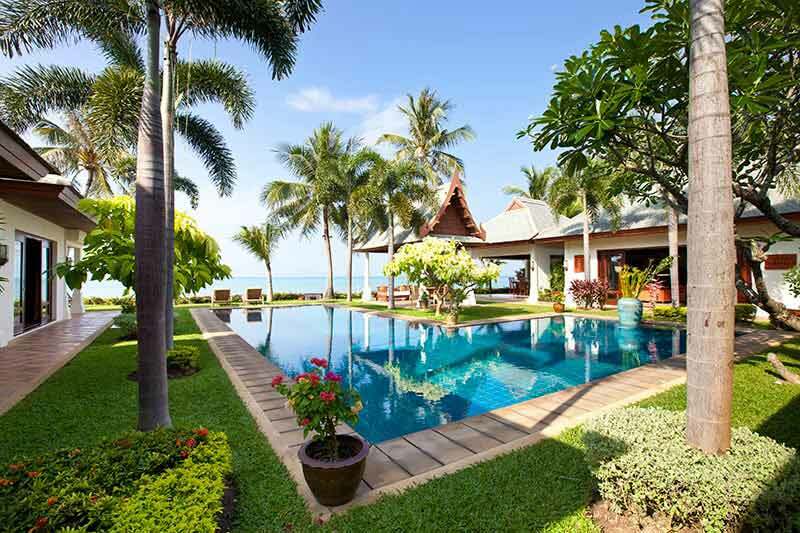 All the villa is about the central swimming pool, as if the villa was built as an excuse for creating this haven of piece with palm trees around and the sea in the background. 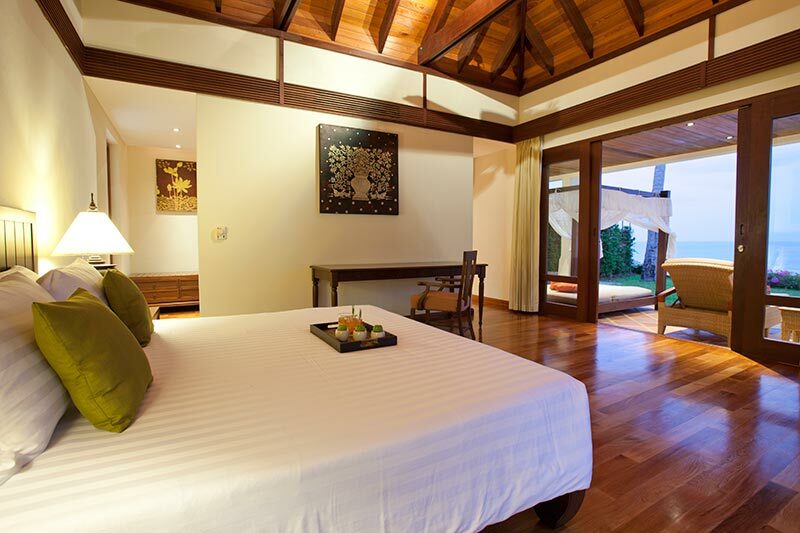 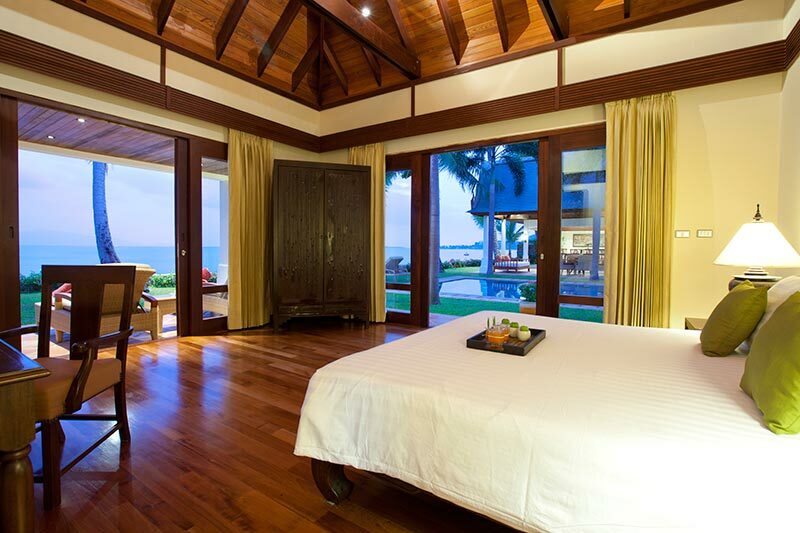 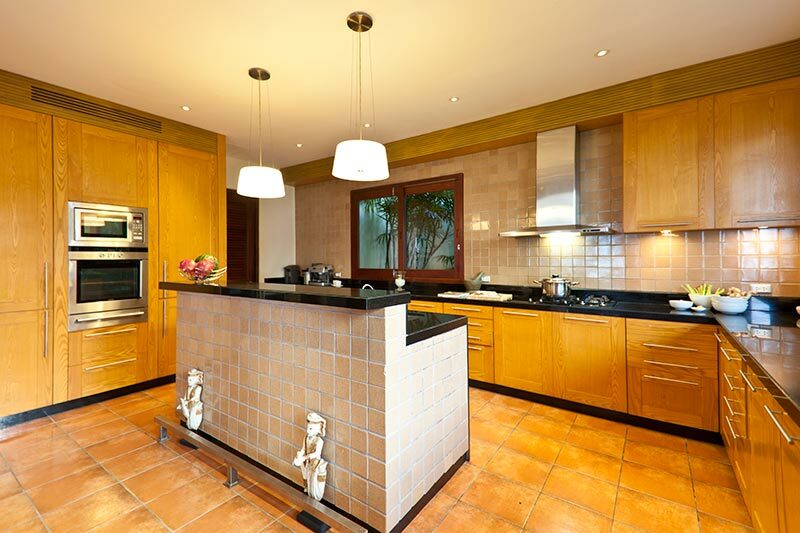 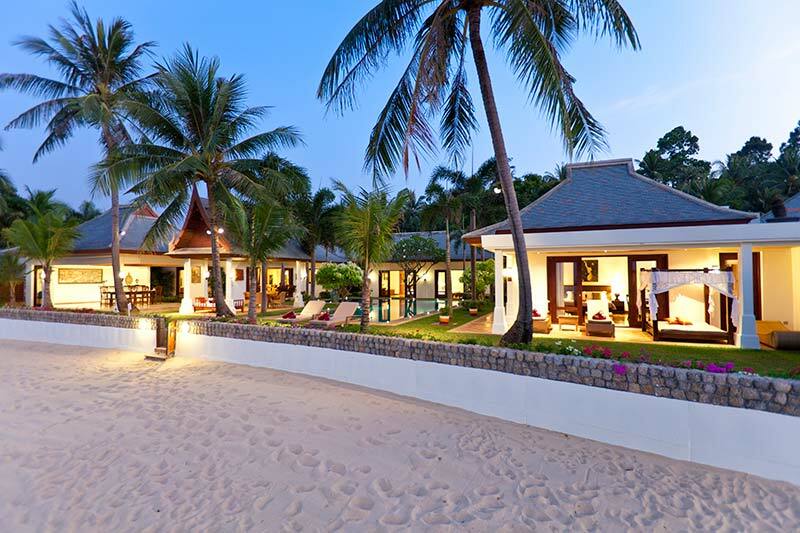 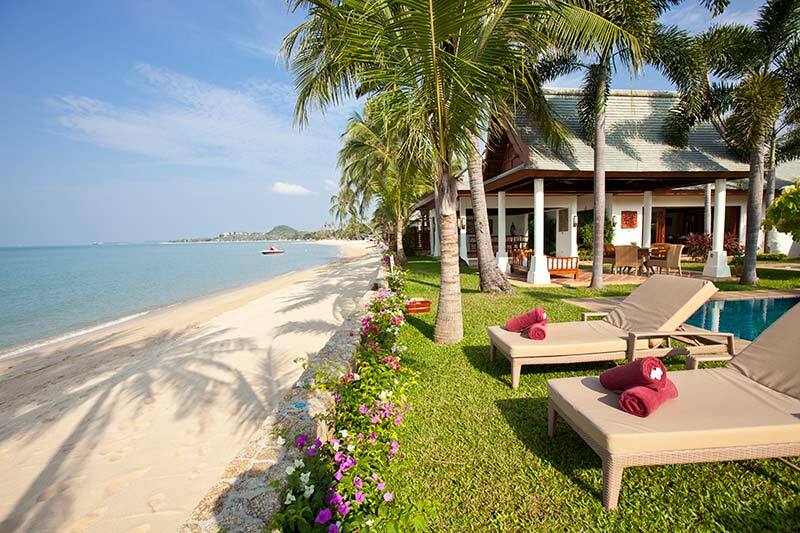 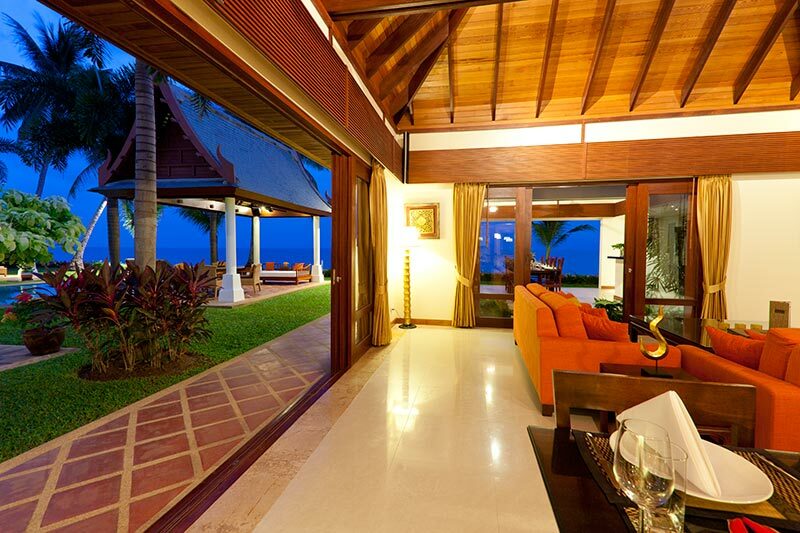 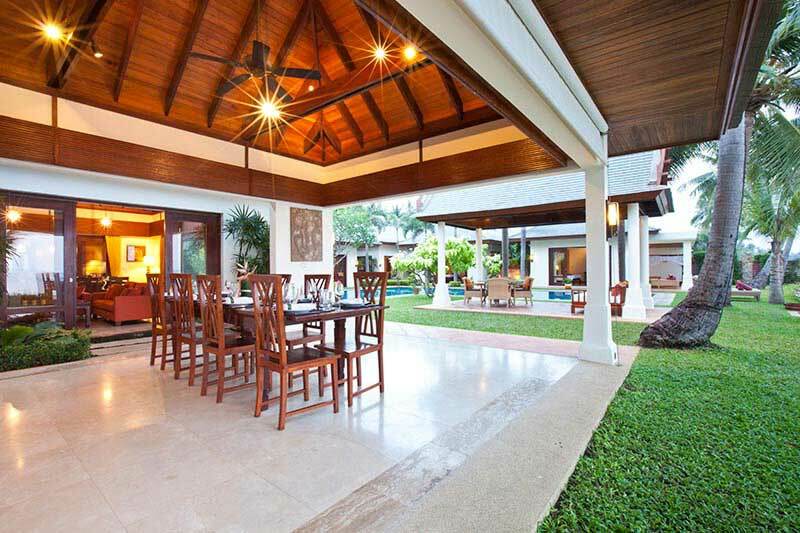 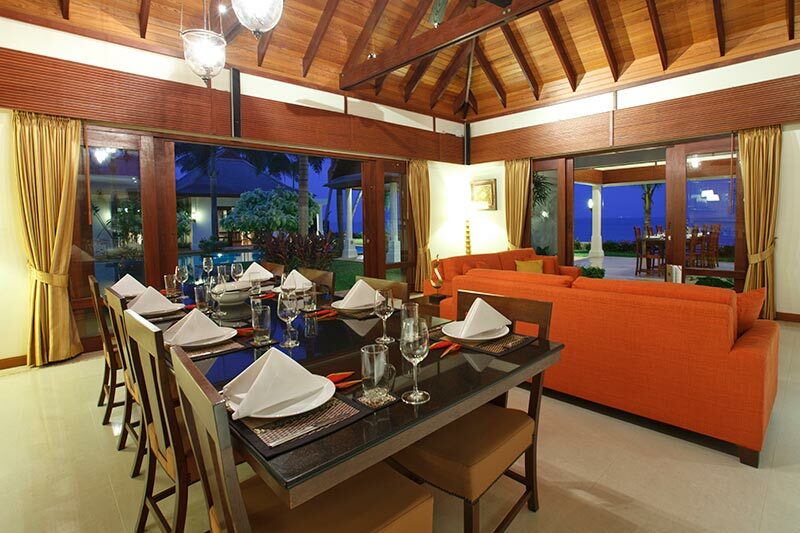 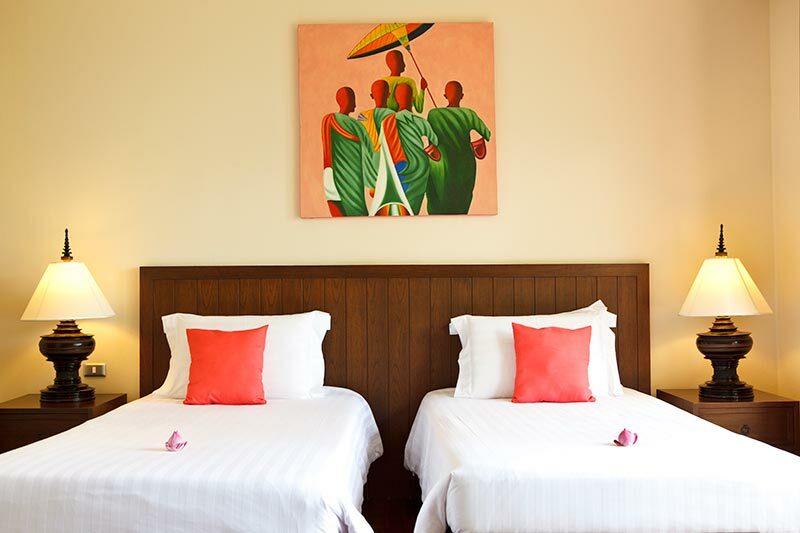 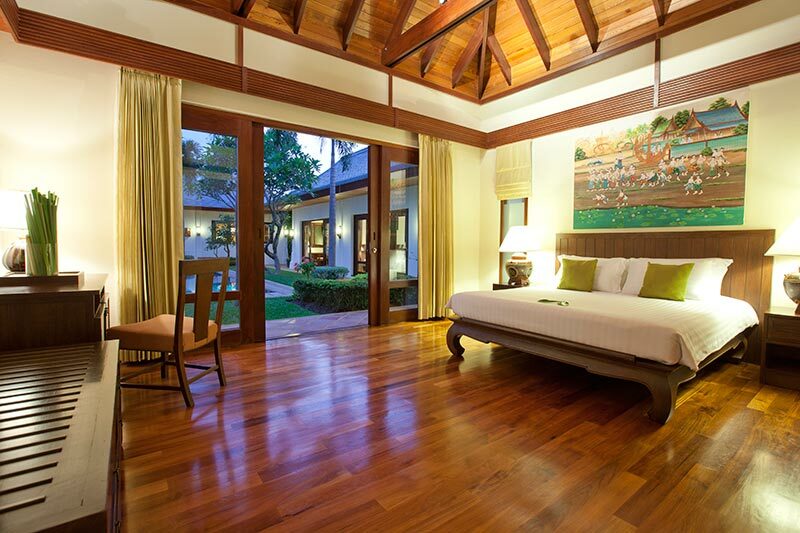 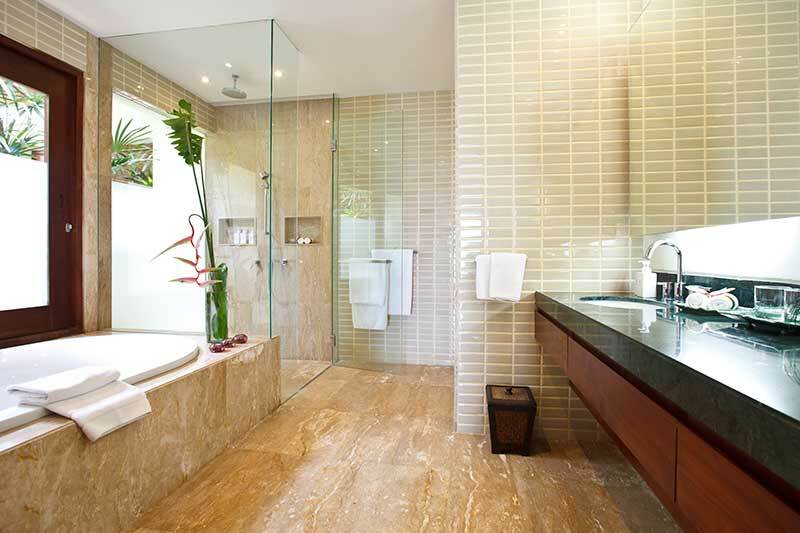 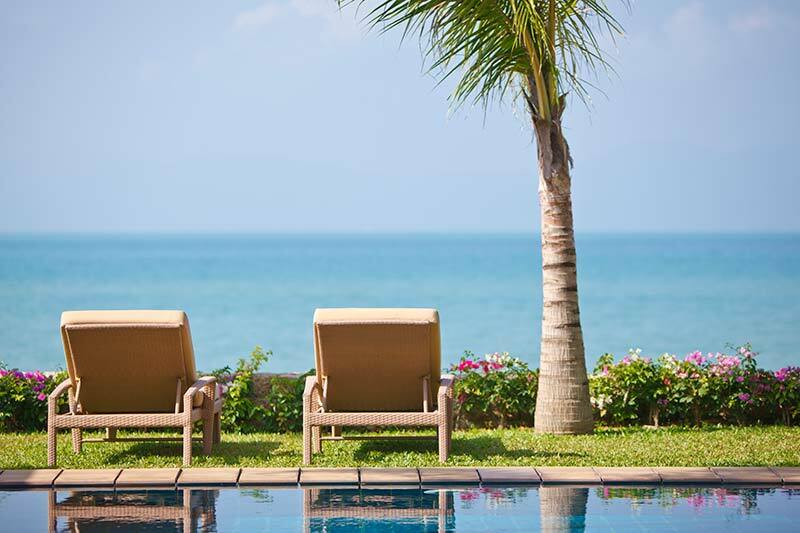 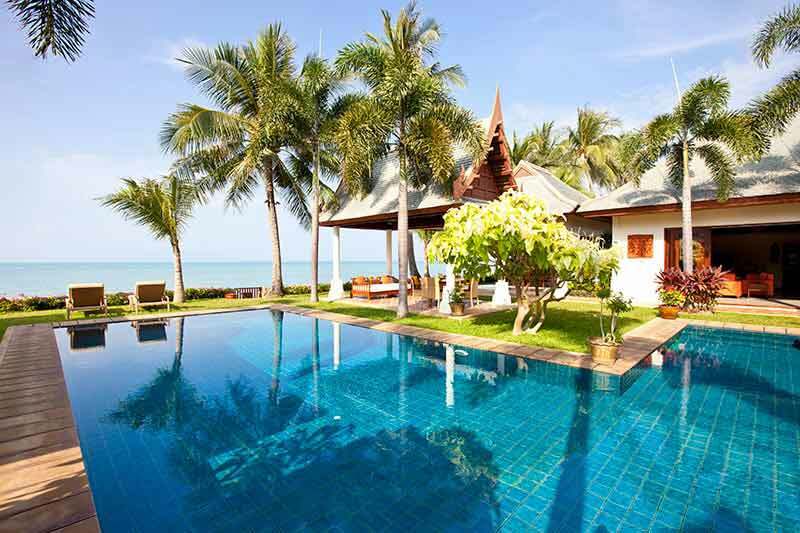 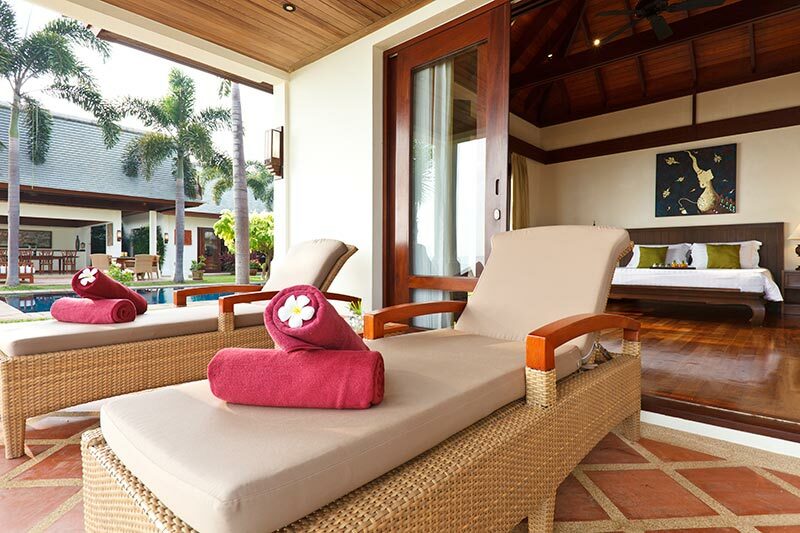 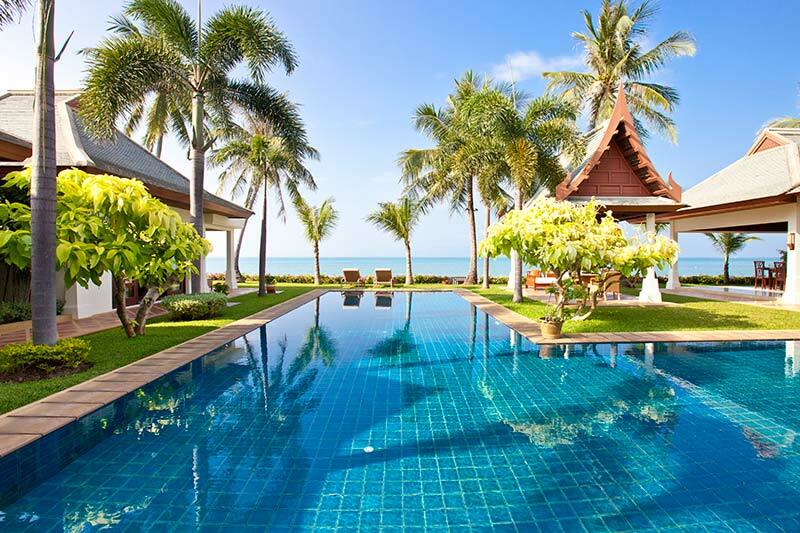 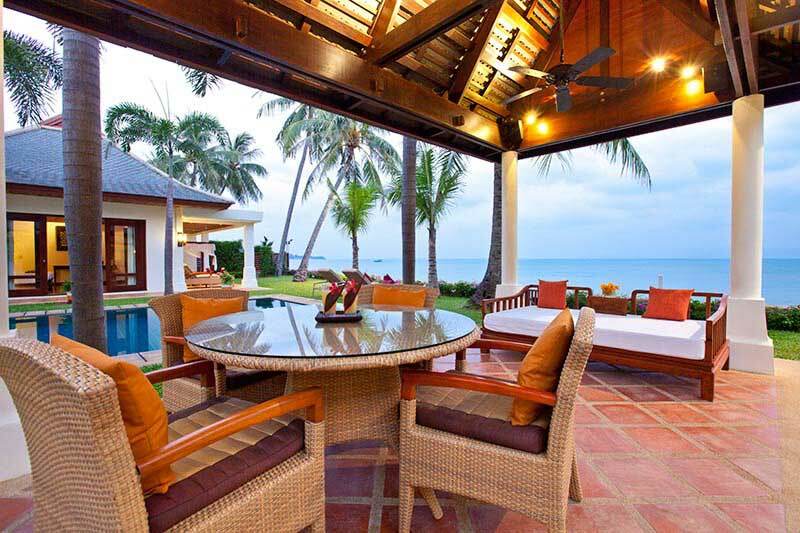 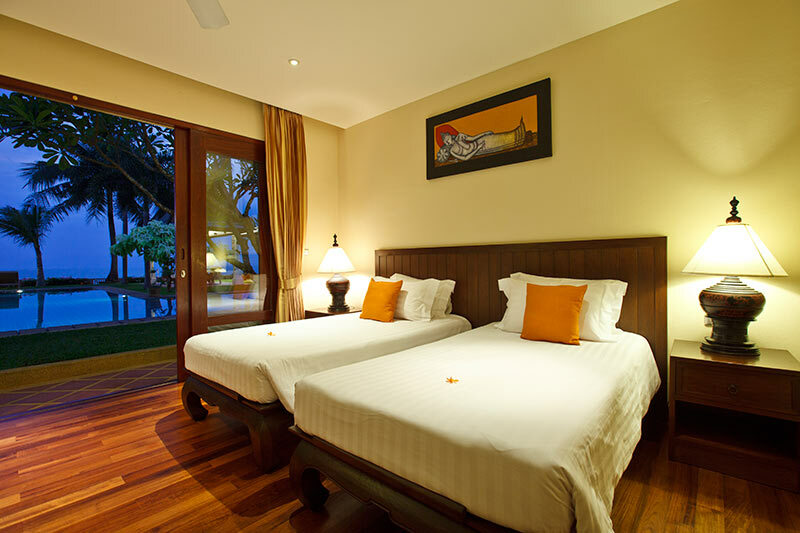 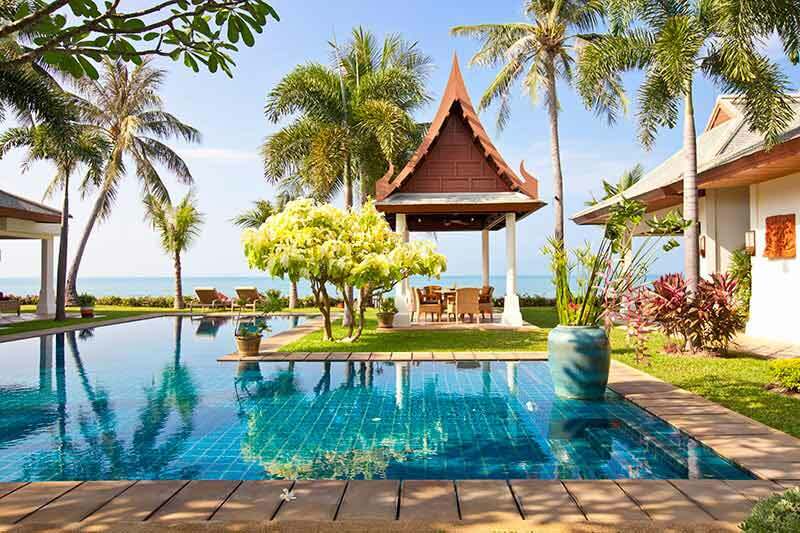 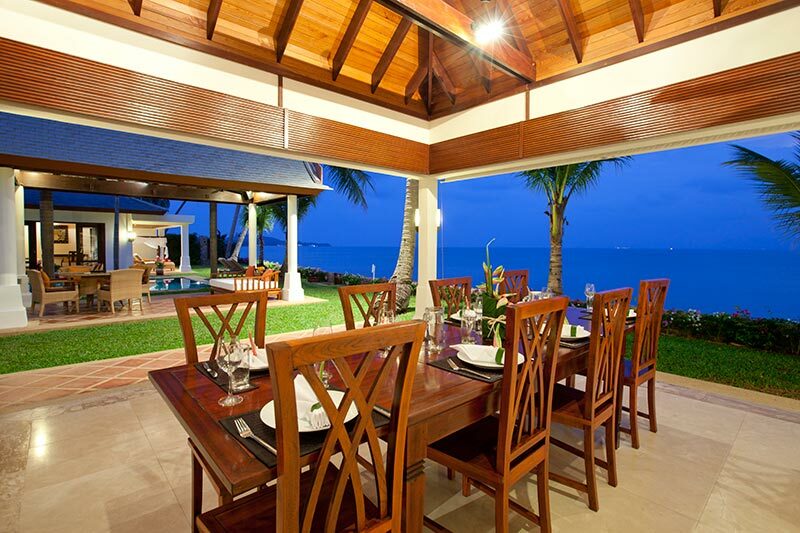 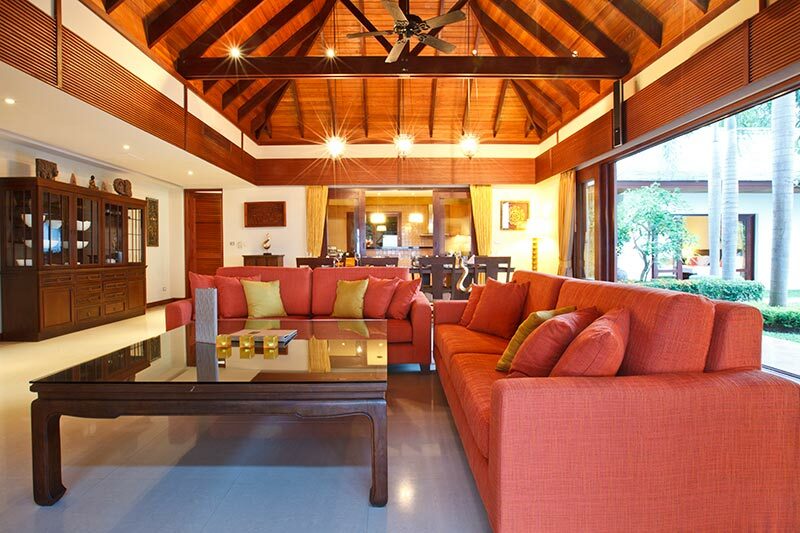 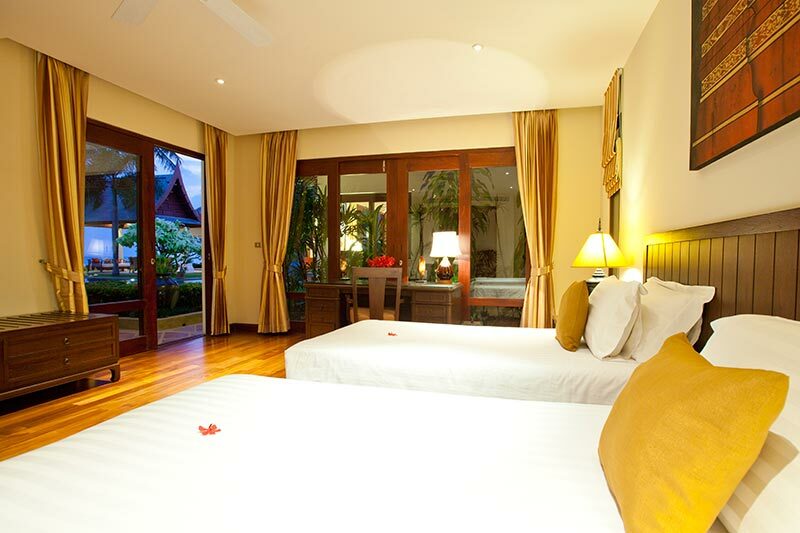 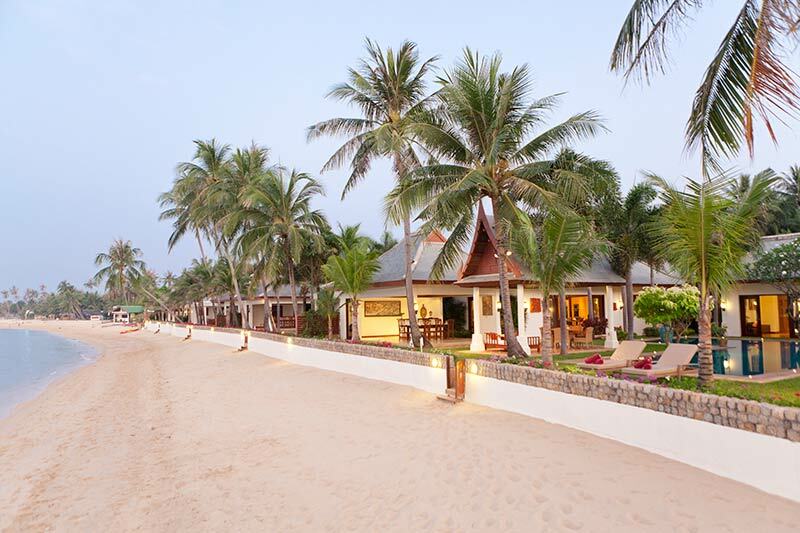 The typical Thai Sala lies next to the pool and features breathtaking sea views. 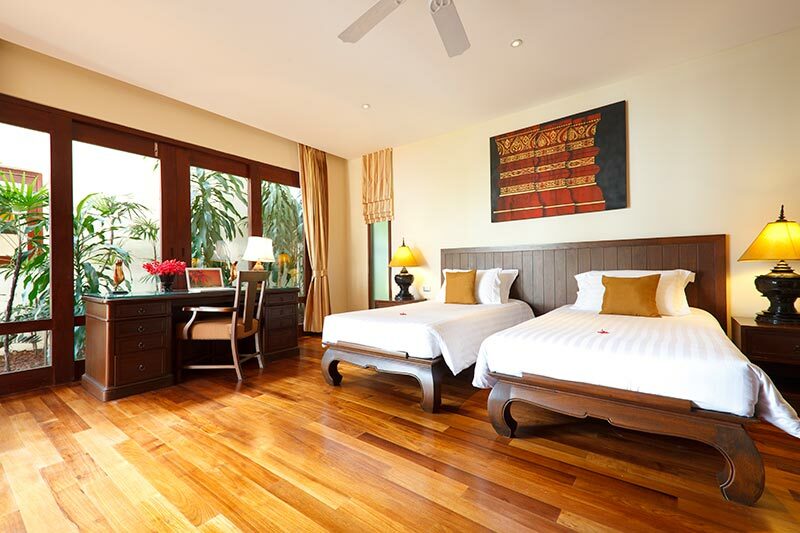 The bedrooms feature traditional wood tones and white walls; the originality comes from the living room dressed up with a big red sofa and the kitchen with clear wood that light makes like golden. 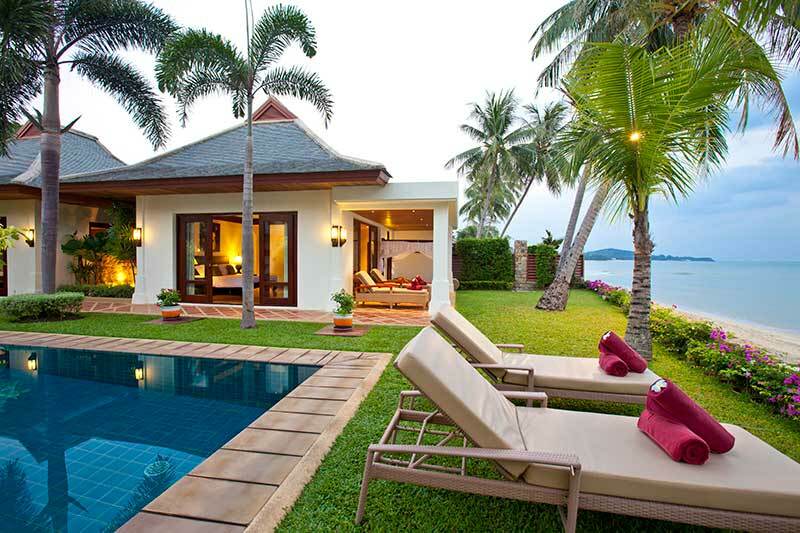 This little jewel is definitely one of a kind.